DPReview just went hands on with the Fujifilm GFX 50S and it had been verified that there is no X-Trans sensor in the camera. I think this is a shame, but it probably comes down to processing power. X-Trans requires a lot of processing power to capture and interprite the RAW data at home, which slows down editing. Lets hope that Fujifilm maintains their unique character. 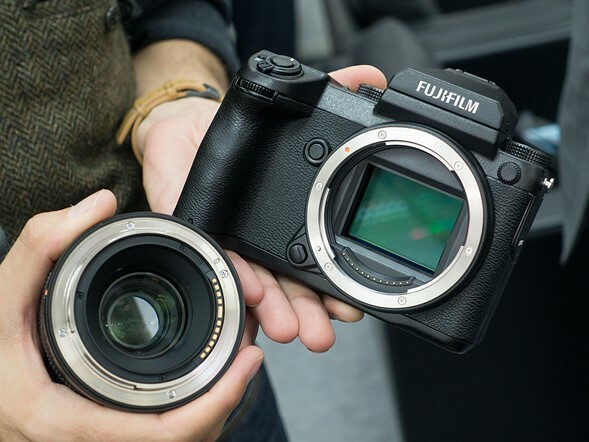 Beyond the sensor the camera is said to be surprisingly light and to handle like the X-T2 so the Fujifilm camera feel has not been lost on the big body. Stay tuned for further coverage and check out DPReviews hands on image gallery and impressions here. This entry was posted in Fujifilm GFX 50S and tagged Fuji Rumors, Fujifilm, Fujifilm Rumors, FujifilmRumors, Fujirumors. Bookmark the permalink. Trackbacks are closed, but you can post a comment.